Hello there! 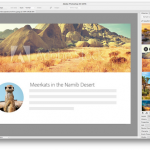 Are you using Adobe applications for your creative projects? If you are, then you are in for a treat. With the launching of Adobe’s newest stock photo service, photo-editing just got better, easier and faster. Today, we will help you change your background photo using Adobe Stock and the Adobe application. The brand new Adobe Stock service is available to Creative Cloud members and is integrated into the Creative Cloud 2015 applications. Are you ready to change your background photo? Okay, first, take a picture you really like and open it with your Adobe photo-editing application. To put a stock background or change the stock background, go to your Creative Cloud library panel located at the right side of the application. 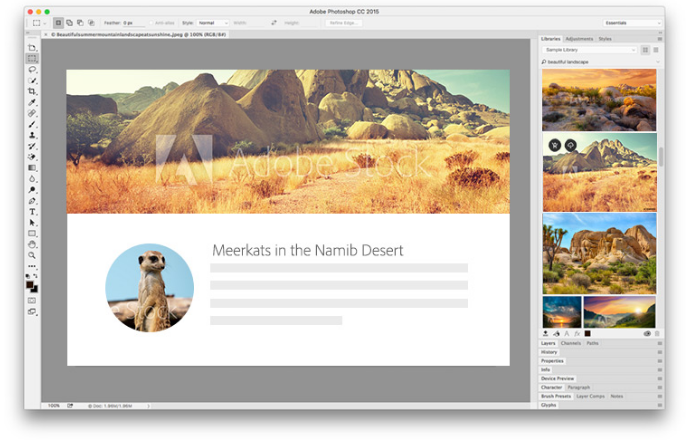 From there, you will see the brand new Adobe Stock icon at the bottom of all the applications and the library panels. Then, observe the following tips to start changing your background photo. Click the Adobe Stock icon and it will take you to the Adobe Stock website. From there, you can do a search for whatever you want as your background photo. For instance, you want to find a background on fashion. Type the phrase “fashion background” and choose among just photos, just vectors, just illustrations, or all three of them. Then, go ahead and do the search by clicking “Go” or “Enter”. The website will just start showing the images. Scroll through until you find an image you are interested with. Once you find one that you really like, click on it and see it in more detail. You will also see some images that you might like. If you are not quite sure what it’s going to look behind your photo, you do not have to buy it yet – which is the best part. You do not have to download the image or pay $10 for it. You can download a preview of it and save it to any of your current libraries. Once you do that, the image will be saved and you can head back to your Photoshop application. You will see the image there, ready to use. Now, what is the difference between the preview image and the one you will purchase? The preview image has low resolution and watermark. To change the background, drag the image, place it anywhere you want and scale it. Move the image behind the photo and move the crop tool to see the image in the original. You can also add some shadows if you like. If you are already happy with the image and you want to keep it, head back to your library, right click the photo and choose license this image. You can also head back to the website and license the image. It will automatically sync in the high-res and replace it for you.